This is the eight installment for my personal journalism-related observations of the current summer season...as promised, one of the best ever in his trade becomes the subject of an odd documentary film. I must admit that this one came completely out of the blue back in July when I was scrolling through my HBO GO app for my Roku streaming player. 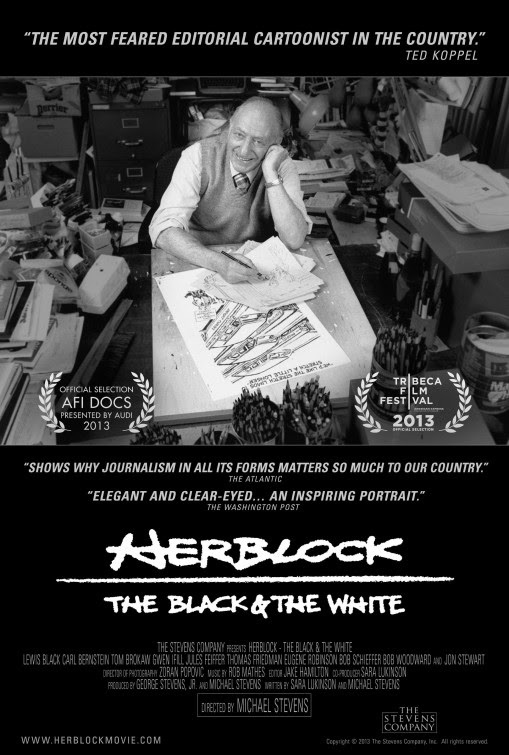 Seeing this documentary about his one-panel cartoon takes on politics, domestic issues, international affairs and social injustice takes me back to my childhood when I would view his syndicated works during his 72-year career that spanned 13 US presidents. Unfortunately, what tarnished what would have been an outstanding film for me was the odd decision of casting of an actor to play the deceased subject. This page banner displays just a handful of the politicians that served as Herblock's subjects over his 55-year career at the Washington Post (graphic courtesy of The Washington Post). Herbert Lawrence Block (his father had him combine the first and last names to create the"Herblock" pen name) was one of the best editorial cartoonists in American history and is regarded as the definitive 20th century practitioner of that craft (much like Thomas Nast was seen in that role during the 19th). 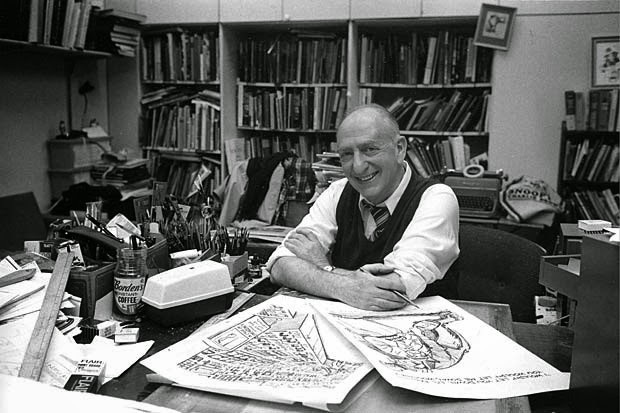 A four-time Pulitzer Prize winner (three on his own and one for Public Service on Watergate), Block was awarded the Presidential Medal of Freedom in 1994 and was inducted into the National Cartoonist Society Hall of Fame in 1979. While he categorized himself as a Republican, his works took positions decidedly against politicians from that party (Dwight D. Eisenhower, Joseph McCarthy, Richard Nixon, Ronald Reagan) and held many positions opposite those espoused by the GOP (civil rights, gun control, money in politics, the environment). He also went after Democrats as well but those attacks were based upon those subjects not living up to the ideals that they brought with them to their offices or positions (his constant criticism of Lyndon Johnson and his Vietnam policies resulted in the delay of being presented the Medal of Freedom for over two decades). He died in 2001 at the age of 91 and his will bequeathed $50 million to establish a foundation to support the causes he defended throughout his career. I'd like you to do something about what I said earlier,--what I called the "Greed Ethic." I know you can't do everything but you can make a beginning. You can set a tone. Keep in mind Harry Truman's words, "the buck stops here". 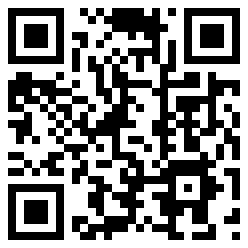 And you can add something else...anything for a buck stops now. 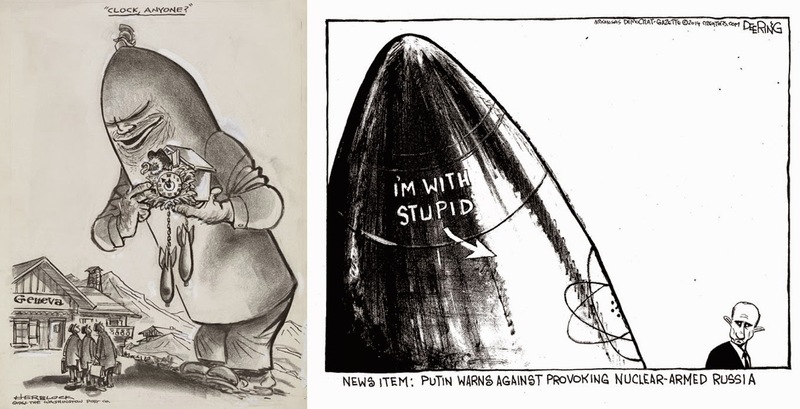 In today's age of multimedia and content-on-demand, it's hard to imagine how one man could yield so much power and influence via a pen and ink yet, at one time, Herblock was considered to be one of most feared editorial cartoonists in the country. While brilliantly poking at the levers of power, his only defense was a publisher who reluctantly gave him total independence over what he submitted and the understanding that he represented the governed against the governing. History has born out his early controversial stands against Hitler, McCarthy, the Vietnam War and Richard Nixon's presidency and, unfortunately, it is hard to see someone in today's mainstream media establishment who would be willing to take similar kinds of positions that could compromise corporate interests. 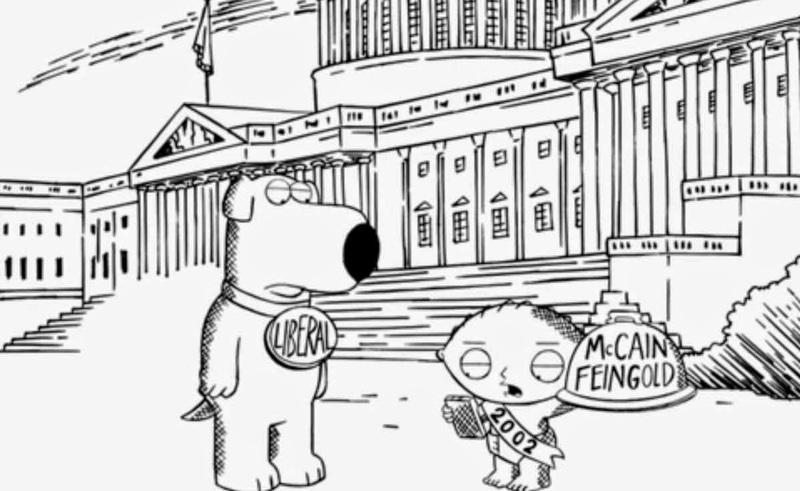 Family Guy's Brian and Stewie Griffin had a temporary stop in a Washington Post Herblock political cartoon "multiverse" during a 2009 episode of the show. Here comes an overweight cat with dollar signs for eyes and a hat that says "social security" pouring a bucket that says "alternative minimum tax" over a sad statue of liberty holding a democracy umbrella. One of Block's most famous characters was an anthropomorphized nuclear bomb that first appeared in his panels in the late 1940s. Wary of these weapons in the post-World War II era, his fears were ratcheted up when the Soviet Union exploded their own device in 1949 and the advancement towards hydrogen weapons by both sides in the subsequent decade. Drawn with a menacing scowl, five o'clock shadow and a warrior helmet atop its warhead, "Mister Atom" represented an unwelcomed character that kept world leaders in his clutches for most of the Cold War period. On September 10th, I saw a John Deering syndicated cartoon in my local paper that gave off a similar vibe. Due to some other mentally draining work I was recently doing related to becoming gainfully employed again, I postponed this posting and, as it turns out, I'm glad that I did. This past Tuesday, Block was featured during a new episode of the long-running television game show Jeopardy!. It came up in the double jeopardy round and was the $2000 question from that episode's "Better Known by One Name" category. "This Pulitzer winning editorial cartoonist drew up indictments of some powerful people" was the answer but none of the contestants--who couldn't have been more than 30 years old--were able to identify him even with the aid of a photograph. 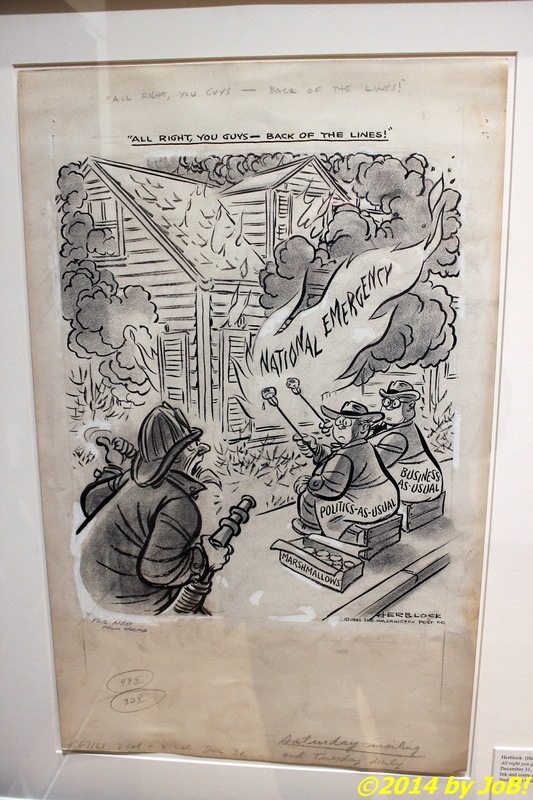 An original 1951 Herbert "Herblock" Block editorial cartoon on display in the Treasures of the Collection section of the Billy Ireland Cartoon Library & Museum during my SPJ Region 4 conference earlier this year. In April, I had the chance to visit the Billy Ireland Cartoon Library & Museum on the campus of The Ohio State University during festivities for the Society of Professional Journalists Region 4 conference held in Columbus, Ohio. Among the displays was an original Herblock that was on drawn in December 1951 and utilized the visual metaphors and caricatures widely used in that medium (in this case, the "fireman"--Uncle Sam--is telling two individuals--labeled "politics as usual" and "business as usual" to move behind the fire lines so that the "fire"--labeled as a national emergency--could be put out). This panel was probably based upon President Truman's declaration of a national emergency that same month to fight "Communist imperialism" when the People's Republic of China entered the Korean Conflict against the American-led United Nations forces. Within this context, it is quite easy to see how the two seated individuals might get in the way of tackling that problem. I am extremely envious of people who have the ability to draw and I guess that my fixation on photography is a way to compensate for that specific talent via a medium where an image is worth at least 1,000 words. Whenever I open up a newspaper and peer at its op/ed pages, the first thing I search for is a cartoon and its message routinely rivals those of the 800-word varieties with which it shares those pages. Many of today's artists seem to do both editorial and strip cartooning (the Dayton Daily News' Mike Peters and syndicated cartoonist Jeff Stahler have been doing "double duty" for years) and it is primarily because of syndication that the number of political cartoonists have been drastically reduced. At one time in our nation's history, nearly every newspaper had someone on their payroll that put pen and ink to paper to make political and social statements. While they varied in terms of talent, ideology or frequency of publication, each had a constituency and an audience that they could call their own. With today's editorial decisions being weighted by technology and economics factors, the landscape that Herblock dominated will, unfortunately, be relegated to a "byegone" era. Although it won't be numbered, I do have a final post in this series to catch up on other items that happened between the time I originally drafted these items and the end of the summer season (the vernal equinox is scheduled for late evening EDT on September 22nd). experts. I thank you to help making individuals more mindful of conceivable issues. A Tiny Taste of "The Day After"
Journalism or Bust! is licensed under a Creative Commons Attribution-NonCommercial-NoDerivs 3.0 Unported License. 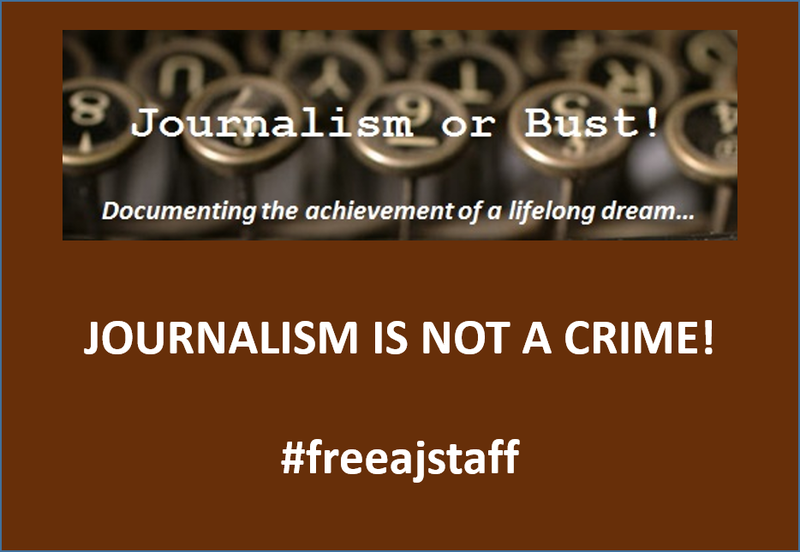 Copyright © 2012 Journalism or Bust!